I’m not entirely sure this post is a great idea. 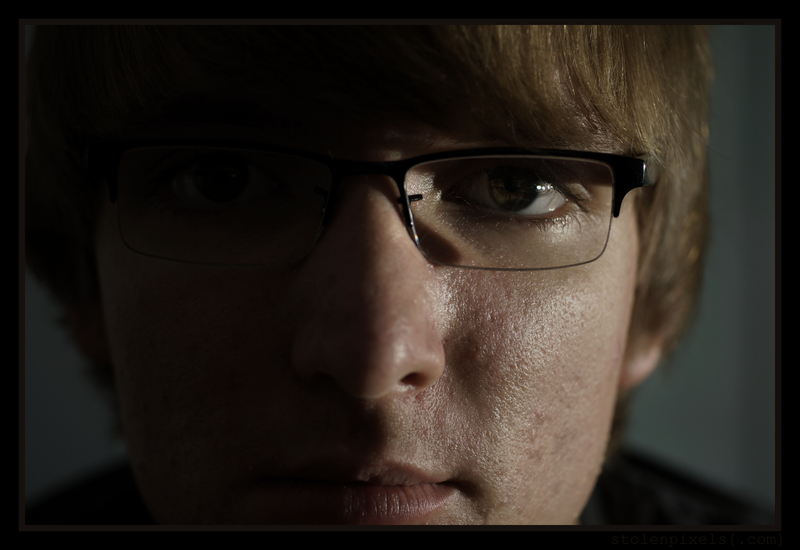 Categories: People | Tags: Indoors, Lighting, People, Photography, Portrait, Self Portrait | Permalink. 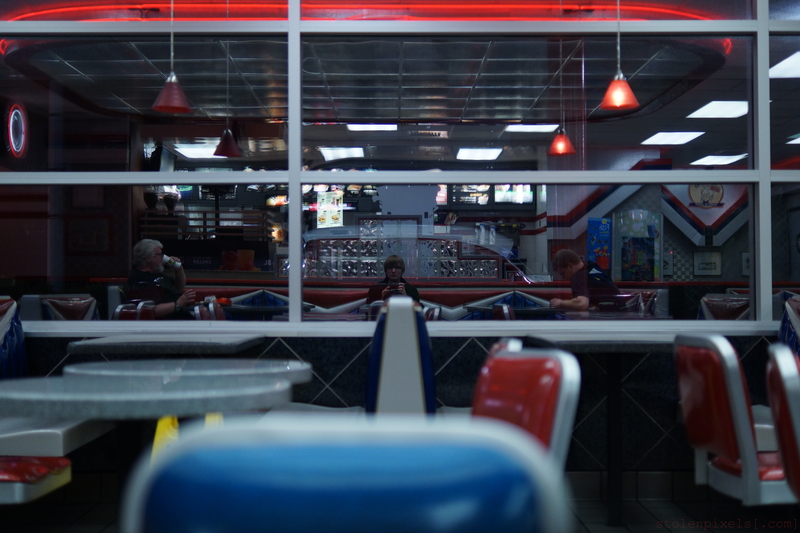 The windows in the retro McDonalds in Las Vegas are quite reflective on the interior. Categories: Indoors, People, Photography | Tags: Food, Las Vegas, McDonalds, People, Photography, Portrait, Restaurant, Self Portrait | Permalink. A typical self portrait, right? Categories: B&W, Indoors, Photography | Tags: B&W, Black and White, Collage, Duotone, GIMP, Hats, Kodak, Old Cameras, Photography, Portrait, Self-Potrait | Permalink. This is my cat, Smokey. Everyone say hello. In other news, my new (well, used) Minolta 70-210 “Beercan” zoom came in today!! I’m pretty excited about it, and that’s what this picture was taken with. I’m hoping to play with it a lot over the next little while. Categories: Indoors, Photography | Tags: Animals, Cats, Grey Cats, Kitty, Minolta Beercan, Pets, Photography, Portrait, Russian Blue, Zoom | Permalink.